Will Boris defend Londoners’ liberties? The government is proposing to defend freedom of speech by placing tough restrictions on people who have committed no crime, but whom they have labelled extremists. This is not a new idea. I was until recently on a database for domestic extremists, despite having no convictions for any crime. The database included John Catt, an 89-year-old pensioner, who attended peace demonstrations with his sketch pad. I won’t deny that there is a problem with terrorism and the radicalising forces which can act as a stepping stone for taking up arms. As a member of the now defunct Met Police Authority I was given confidential briefings by the Met Police on the terrorist operations and they were frightening. Of course, I agree that terrorism needs a rigorous legal response, but extremism needs a rigorous, open debate. Now I don’t like the EDL, or the BNP, but should their leading members be stopped from using Facebook without some policeman correcting the spelling mistakes? Would the Green Party have been stopped in the 1990s from distributing literature on non payment of the poll tax (a tax agreed by the democratically elected government of John Major)? Are Greenpeace undermining democracy when they use nonviolent direct action to give a voice to the planet and its creatures, or are they challenging the moral authority of that democratic process and so deserve to be silenced? The most common argument used to dismiss concerns about civil liberties is that if you have done nothing wrong, then you have nothing to hide. Under this logic the ‘Snoopers’ Charter’ and the mass collection of our personal digital data isn’t a concern. Except, the prime minister himself declared that what was true in the past will not be true in the future. His statement about dumping the tolerance that has allowed ‘people who have broken no law to be left alone’ is scary. I have spent years trying to get justice for innocent women who had their lives turned inside out by undercover officers who were ‘just’ gathering information about an environmental organisation. The Stephen Lawrence family and other families have been spied on while campaigning for justice. The Met Police have been accused of feeding information on trade unionists to private companies involved in blacklisting. A similar sharing of personal information with corporations has been used against environmentalists. These are people who have either broken no law, or only minor ones, yet the police have been intruding on their lives. If the legal definitions are drawn broadly, then it will be left to the home secretary and the police to decide who will appear on their databases and be subject to more intrusive surveillance. Even if Theresa May tried to narrow things down and introduce judicial safeguards, all my experience of the Met Police tells me that they will stretch the definition much wider. The Regulation of Investigatory Powers Act (RIPA) was one of those laws passed on the understanding that it was giving the police narrowed-down powers to deal with terrorists and serious organised crime. Yet, as Big Brother Watch has shown, the Met Police approve around 70,000 RIPA requests per year. 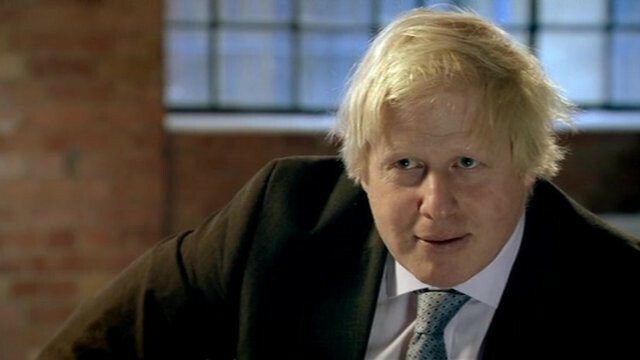 Boris Johnson has taken a hands-off approach to monitoring the Met Police. He has ignored scandals and bought unlicensed water cannon instead. The next mayor must make it clear that they will be watching the watchers. The Snoopers’ Charter will potentially give the security services and police huge powers of intrusion, well beyond what they have under RIPA. Your drunken digital thoughts, google searches, intimate messages, financial transactions and business-related correspondence could all be accessed then held for a year. I hope the next mayor will support calls for judicial oversight to slow things down and to restrict access; but the experience of RIPA is that if you are part of a police investigation, or related to one, then you could be one of those tens of thousands of requests every year that end up on some Met police officers’ desktop computer. Are you happy with that? Jenny admits that there are a lot if nutters out there that wish us harm, and the problem will grow exponentially as more of these IS Fighters return to Britain the Land of Liberty and Freedoms denied by IS Islamofacists. So its best to keep an eye on them, and make sure they don’t get up to mischief. If they do, then lock them up. There’s a Britain that is the Land of Liberty and Freedoms? 30 years ago anyone to the left of Attila the Hen was described as “The Enemy Within”. That encompassed trades unionists, teachers at the wrong schools, left-wing intellectuals, Labour-controlled councils etc. Even MI5 were concerned about who they were being asked to spy on. Mass surveillance used to be thought of as belonging to George Orwell readers, Paranoids and Conspiracy Theorists. MI5 disclosures, the book “Spycatcher” in the `80s and revelations (rightly or wrongly) from whistleblowers like Edward Snowden have put paid to that. If a state has to spy on it`s own people then it is not a properly functioning state and raises the question why? If the answer to that question is to protect the state and it`s citizens from harm then we must ask what harm and who could be harmed? It`s an uncomfortable question, because what if we find out that large corporations, bankers, wealthy individuals, artificially high land prices etc. pose more harm to a fully-functioning state and it`s citizens than a handful of religious zealots and nationalists labelled potential terrorists. What is terror? Is it the threat of bombs and bullets killing relatively few people, yes certainly, but what about the harm unregulated banks and the city finance sector could do and have done to the citizens of the UK? What about the terror inflicted on millions of the citizens of the UK in the name of austerity to cover the failings of the banks and financial sector? Does not a pensioner starving to death in an unheated room carry the same weight as someone killed by a bomb or a bullet? Who is monitoring the instruments of terror of the Capitalist state? They are certainly monitoring us. The war on terror and its fantasies about a terrorist behind every bush have been an absolute boon to the police. There has been the predicted steady expansion of what is a threat. As expected it has moved from stopping actual terrorist plots in progress, which are quite rare, to spying on everyone for not toeing the party line.